Sacred Paws will release new album 'Run Around The Sun' on May 31st. The duo's exceptional debut album 'Strike A Match' was a real breakout moment, all skittering guitar lines, tropical-infused percussion, and wonderfully obtuse but deeply heartfelt songwriting. Winning the SAY Award, the band followed this by knuckling down to the tricky business of sculpting a follow up. 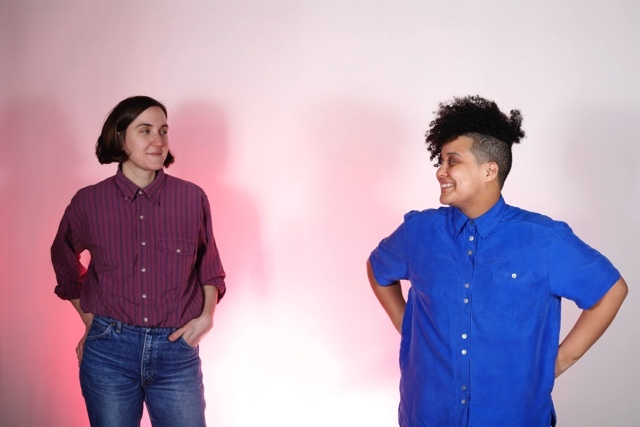 New album 'Run Around The Sun' finds Rachel Aggs and Eilidh Rodgers steering themselves in fresh directions, and the announcement comes with a brand new song. 'The Conversation' is online now, and the rawness of the sound is matched to the emotional appeal, with the interweaving vocals depicting the uneasy resolution of an argument.